There are currently 445 engraved bricks and 25 engraved benches honoring military veterans at the Veterans Park. 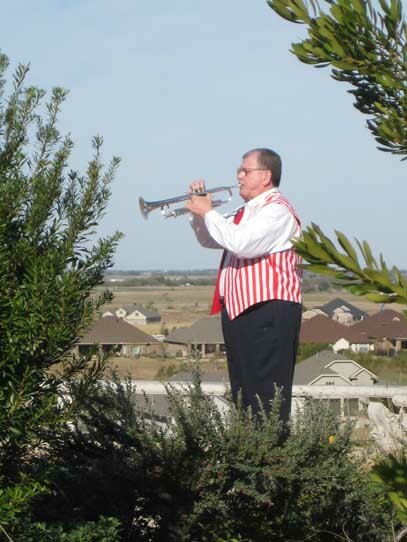 The Robson Ranch Veterans Park was designed and built by the Robson Ranch Support Our Troops Veterans Park Committee on land provided by Robson Ranch Developer, Ed Robson, who served in the US Marine Corps. 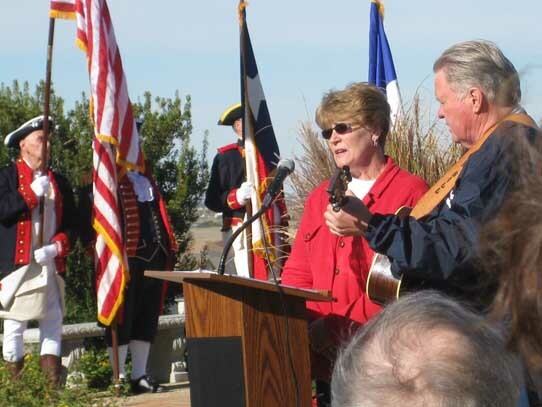 The Park was dedicated on November 11, 2008. 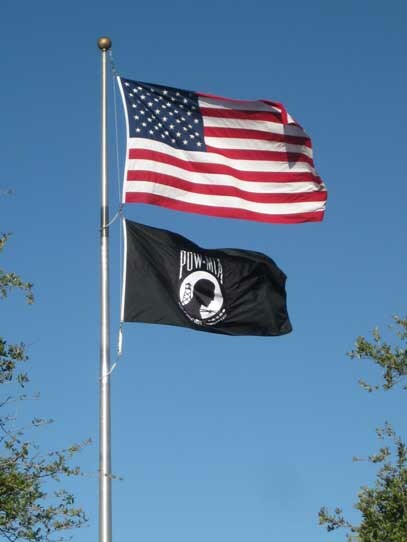 The US and MIA/POW flags fly atop a 50 foot flag pole at the Park. Indiviidual Veterans and military units are honored on engraved 4x8, 8x8, and 12x12 paver bricks and on 25 benches. Most are related to Robson Ranch residents. Most of the bricks and benches contain logos of military branches and units, and medals awarded. As you stroll through the Veterans Park you will see bricks honoring Veterans who served in the Revolutionary War, War of 1812, Mexican War, Civil War, Spanish-American War, World War I, Cuban Insurgency, World War II, Korean War, Vietnam War, Operation Desert Shield, Operation Desert Storm, Operation Iraqi Freedom, and Operation Enduring Freedom. Bricks also honor some of the 445 Veterans currently residing at Robson Ranch. Additional bricks are added during annual brick drives for placement in the Park prior to the Memorial Day and Veterans Day ceremonies. 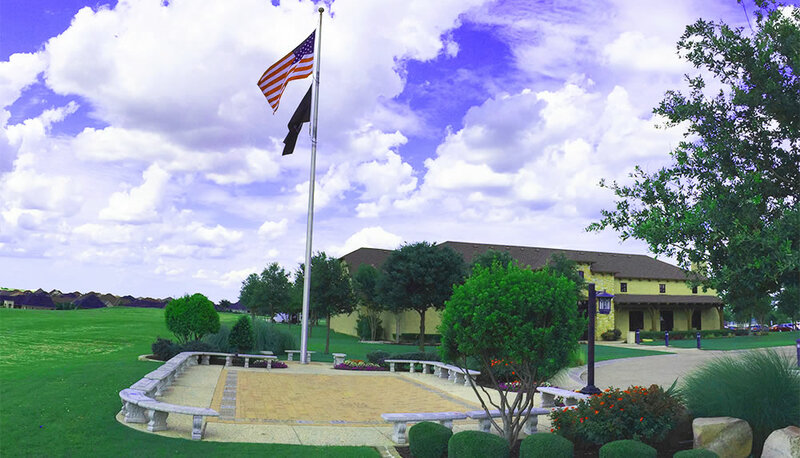 A Tribute Book that contains the photos and biographies of many of the Veterans honored in the Park is located in the Robson Ranch Club House. You will note many threads that connect the Veterans. Here are few examples. Two Confederate soldiers captured in 1863 in Tennessee were sent to the Union Prison Camp at Parole, Maryland. A Union officer who fought in the Tennessee Campaign was sent to the Union Army Hospital at Camp Parole in 1865 while they were still incarcerated there. While some of the WWII Veterans were engaged in close combat on Okinawa, others were aboard Naval and Merchant Marine ships providing them fire support and vital supplies. One Veteran, a Navy Frogman, was under the water supporting them. Three served in the same Airborne Division that was deployed to the Pacific to achieve glory as a ground force. One Veteran was awarded our nation’s highest honor, the Medal of Honor. 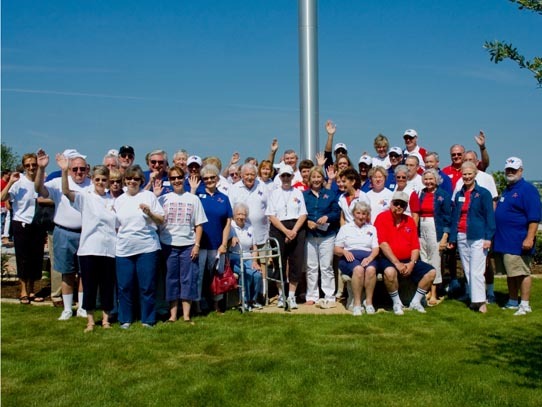 A few of our honored Veterans endured the hardships of being a Prisoner of War. Some were POWs on American soil during the Revolutionary and Civil Wars. Others were POWs on opposite sides of the World during the second war to end all wars. One survived the Bataan Death March. 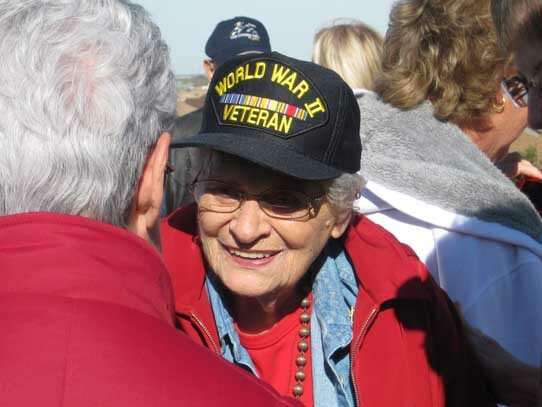 One was in the unit that liberated the prison camps where the Bataan survivors were held. Another was held illegally as a POW by the Russians after World War II had ended. 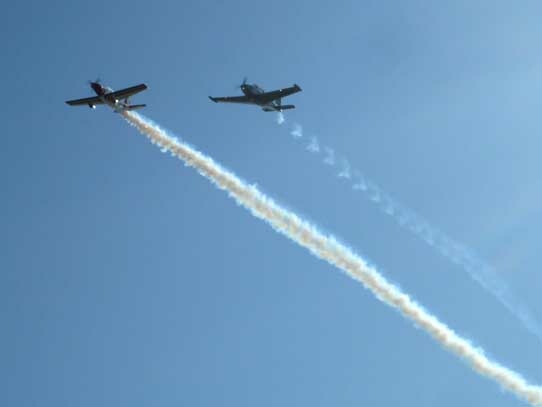 Many fought on the ground, in the air, and at sea during the Vietnam War. One Air Force Veteran was killed in action in Vietnam shortly before he was to report for training in the Apollo Program. Two others served aboard Navy Aircraft Carriers that recovered Mercury Program capsules and two Apollo capsules after their successful space missions. Honored Korean War Veterans include three members of the “Chosin Few” who survived the nightmare at the Battle of the Chosin Reservoir. And we have a Veteran born in Ottumwa, Iowa. For you M.A.S. H. fans, that is the hometown that “Radar O’Reilly” made famous in the television series that still entertains audiences. There are many Veterans honored who have fought in Iraq and Afghanistan in recent years. Some did not come home. Some have made return journeys to combat zones in both areas. One served aboard the Submarine USS Miami. Another shot the official video of the first Tomahawk missile fired during Operation Desert Fox, which was launched from the Miami.